Helping people is what gets us out of bed every morning. Our Mission: To make a difference every day. At Mold Solutions we care about health of each other, our families, our customers, reputations and our jobs. As a family opened company, we want our values to reflect exactly that. Opinions matter and that includes those of our employees, but also our customers. 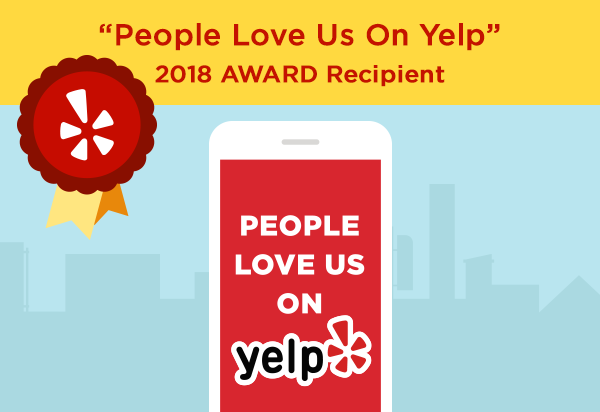 We strive to make a difference in your lives regarding your health and wellness and the quality of our work is in direct correlation with those two things. Nothing is more important than the health of those we work with and work for and that’s why we use time-tested processes that are effective in mold remediation and prevention. Within those industry guidelines, we work to identify the most cost-effective methods to service our customers. How do we do our job? That’s simple - with honesty and integrity. We treat every customer as if the world is watching and we strive for a “white glove experience.” We follow safety guidelines that keep both our employees and customers protected from mold spores, we clean up our own debris and do everything possible to control dust. Helping people is what gets us out of bed each morning. We want to make a profit (see how honest we are) but that isn’t our sole purpose. 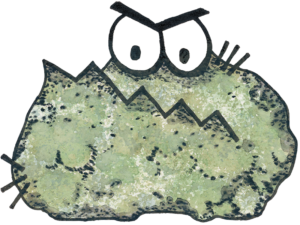 Mold is a problem that can potentially cause a variety of health issues and we want to eliminate it from your home or facility. Operating with honesty and integrity allows us to go to sleep at night with a clear conscience. Michael started Mold Solutions of Chicago, Mold Solutions of St. Louis and DryFX Restoration. He has been trained and certified by the IICRC where he holds a Water Restoration Certification and an Applied Microbial Remediation Certification. Other certifications include Lead RRP. Michael spends most of the time in the office handling accounting, payroll, and HR issues for the various companies. Michael loves to ski with family and friends. His dream vacation is to visit Ireland. If he's not watching the Bears or White Sox, he wants to watch his three kids play football, baseball and softball. Angelo joined Mold Solutions of Chicago in October, 2009. He has been trained and certified by the IICRC where Angelo holds a Water Restoration Certification and an Applied Microbial Remediation Certification. Other certifications include Lead RRP. Angelo decompresses from work by playing the drums for his rock band. He loves German chocolate cake and wants to take his children to Disney World. Adam joined Mold Solutions of Chicago in October, 2010. He has been trained and certified by the IICRC where Adam holds a Water Restoration Certification and an Applied Microbial Remediation Certification. Other certifications include Lead RRP. Before joining Mold Solutions, Adam worked for his uncle's masonry company. Adam spends the summers thinking about snowmobiling and snowboarding. Although he currently prefers to listen to Toby Keith, the first concert he ever attended was AC/DC. Leanne joined the Mold Solutions of Chicago office staff in March of 2014. She sets inspection appointments, coordinates scheduling jobs and assists with other office duties. First and foremost, she is the mother of 3 very active children who keep her busy with all their activities. Leanne decompresses by working out and running. Her dream vacation would include lying on a beach in Hawaii listening to the music of Tom Petty. Jan joined Mold Solutions of Chicago in June, 2008. She sets inspection appointments, coordinates scheduling jobs, and follows up on accounts receivable. In between all that she is also the mother, referee, counselor in our Mold Solutions family. Jan loves the Chicago Blackhawks, especially Brent Seabrook. She longs to vacation in Hawaii and sit on the beach reading mystery books. Jan joined Mold Solutions of Chicago in June, 2008. She sets inspection appointments, coordinates scheduling jobs, and follows up on accounts receivable. In between all that she is also the mother, referee, counselor in our Mold Solutions family. Jan loves the Chicago Blackhawks, especially Brent Seabrook. She longs to vacation in Hawaii and sit on the beach reading mystery books. Tim joined Mold Solutions of Chicago soon after we opened. He has been trained and certified by the National Association of Mold Professionals as well as the IICRC where Tim holds a Water Restoration Certification and an Applied Microbial Remediation Certification. Other certifications include Lead Remediation. Tim likes to golf and watch college football. His dream vacation destination is Thailand and his favorite book is Red Storm Rising. Ed has been with Mold Solutions of Chicago since we opened our doors in 2007. He has been trained and certified by the National Association of Mold Professionals as well as the IICRC where Ed holds a Water Restoration Certification and an Applied Microbial Remediation Certification. Other certifications include Lead RRP and Fluke thermo-imagery. When Ed isn't helping identify and solve mold problems for our customers, he's likely fishing, watching the Chicago Bears, or listening to Motley Crue. Alan became part of the Mold Solutions team in 2015. He has been trained and certified by the IICRC where Alan holds a Water Restoration Certification and an Applied Microbial Remediation Certification. Other certifications include Lead Remediation. Alan likes to golf, fish, and watch his Missouri Tigers. He has 2 German Sheperds, Kaiser and Maximus. Rich helped start Mold Solutions of St. Louis in 2009. He has been trained and certified by the National Association of Mold Professionals, as well as, the IICRC where Rich holds a Water Restoration Certification and an Applied Microbial Remediation Certification. Other certifications include Lead RRP and the IAQA. When Rich isn’t helping identify and solve mold problems for our customers he’s likely camping with his family, playing guitar, or making homemade wood fired pizza. If you're a hard-working and your values match ours, we'd love to meet you. Browse open positions and apply now. Applicants must upload a resume to be considered.